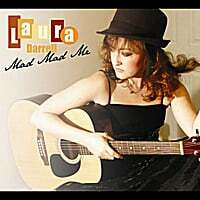 "Mad Mad Me" Reviewed by RadioIndy.com! MMM documents Laura's journey of musical self-discovery as she creates an emo pop sound combining classical strings with modern rhythms. Prod. by Mad Attic records, it charts her passion for haunting, provocative melodies. Eva Cassidy meets Basia!